How can one have a feat that makes them beyond dimensional limitations and how is that relevant in a fight? @spideyjust: It makes beings who gain their reality warping power through their dimensional superiority pretty much useless against Lucifer. Also you don't even need dimensions just to conclude Lucifer is greater than an Imp or any other non-Super-natural beings, he can already manipulate any external force within his creation(s). We go by feats though. Give me his best feats. TOAA has zero feats, so Spiderman beats TOAA? You do realize hierarchy exists in comics right? Lucifer by virtue of transcending dimensions is a bigger feat than rest of team combined. Lucifer by virtue of transcending dimensions is a bigger feat than rest of team combined. This isn't vsbattles wiki or real life. Dimensions are irrelevant here. @spideyjust: Oh yeah? 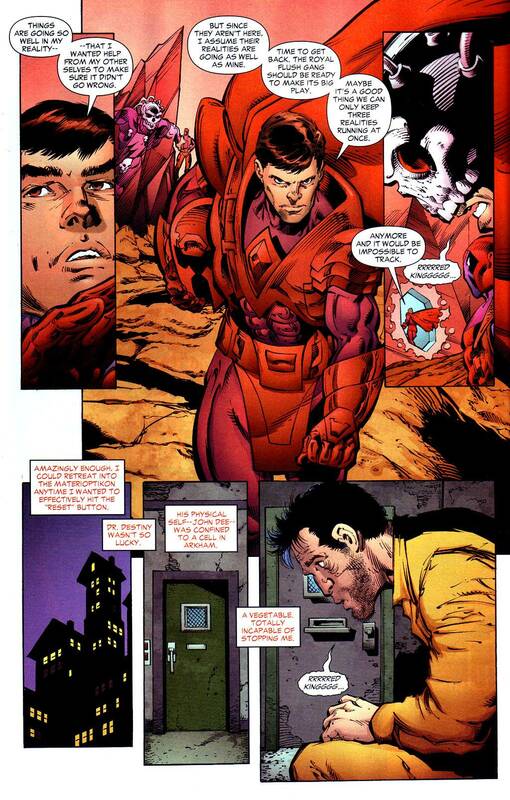 Why do you think beyonder was gloating about being infinite dimensional in secret wars? The dimensions are set by the comics, not vsbattles wiki. I already said, TOAA has zero feats, so Spiderman stomps TOAA. You're trying to defy established hierarchy in DC comics for the sake of feats of god tiers. TOAA actually does have feats and scaling from HOTU Thanos. You come from vsbattles though right? Because in fiction higher dimensional beings have been harmed or threatened by lower dimensional beings. 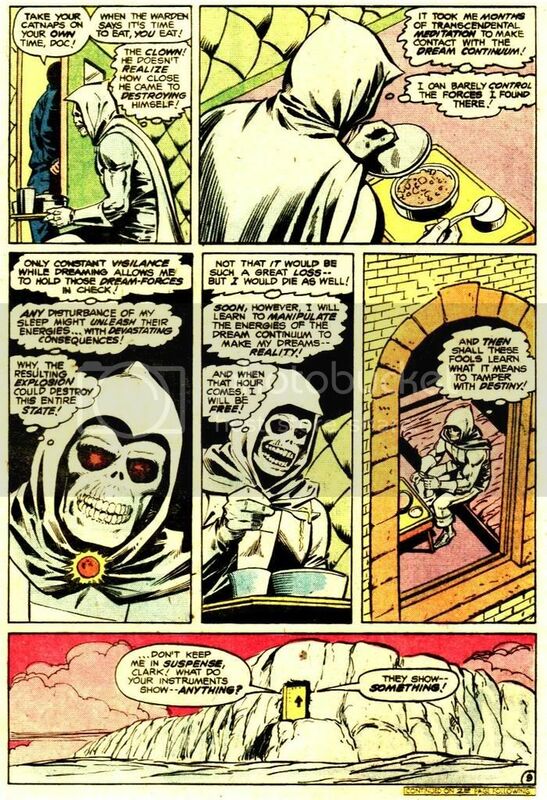 Dimensions mean nothing in comics. Doctor Strange, a three dimensional being, defeated sixth dimensional beings. 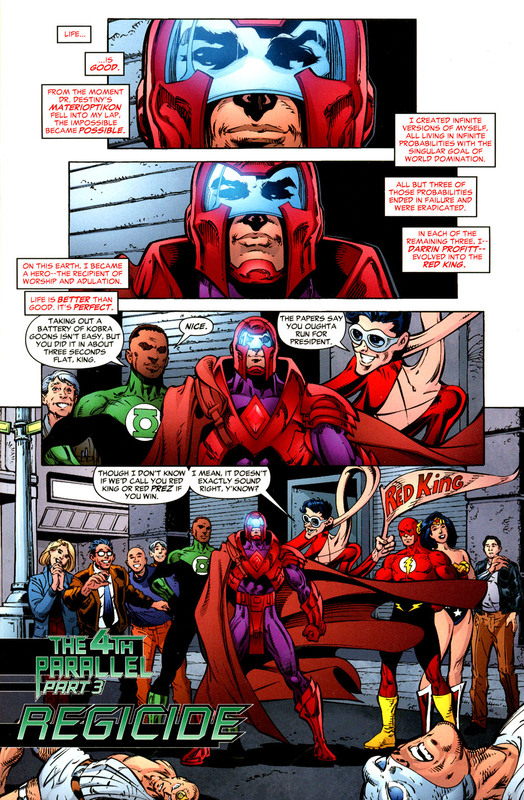 Mr. Mxyzptlk, a fifth dimensional being, defeated an eleventh dimensional being. That logic never plays out. And regarding the Beyonder thing, all he did was wonder why everything wasn't infinite dimensional like him and his reality. That's it. Now we're going to include inconsistency? Not really. It's fairly consistent that lower Dimensional beings have threatened or even defeated higher dimensional ones. @mysticmedivh: Forget abouts dimensions. 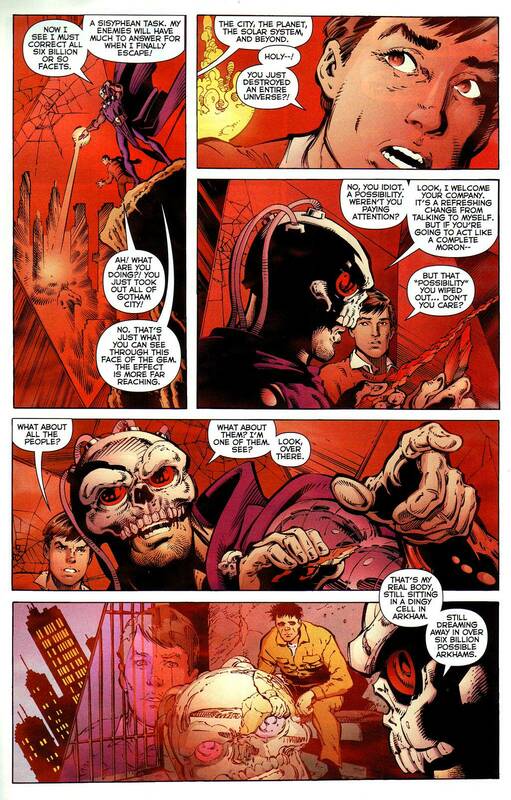 Lucifer and Michael together create the DC omniverse. They're next to presence only. That's better feat than Mxy. It's about hierarchy not dimensions. @spideyjust: BTW I don't agree with vsbattles wiki either on many things. The Living Tribunal is stronger than Oblivion for a fact. He wills his own creation in the Void once Michael has released the energy for it. These are only fraction of Luci's incomprehensible feats, no way any of the other characters here have better ones. @mysticmedivh@wf_mxyzptlk: You guys know the characters here better than I do. Thoughts? He apparently made contact with the dream-continuum due to meditation. He also says that his mind is very powerfull due to the exposure to the Materioptikon and that he somehow tapped into a cosmic energy source with which he can now create reality in the dream-world. 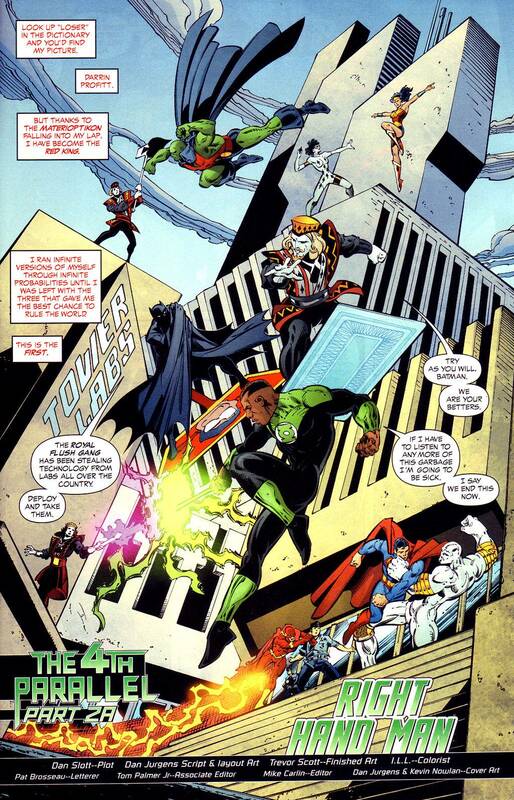 The following scans are from JLA: classified 4th parallel. 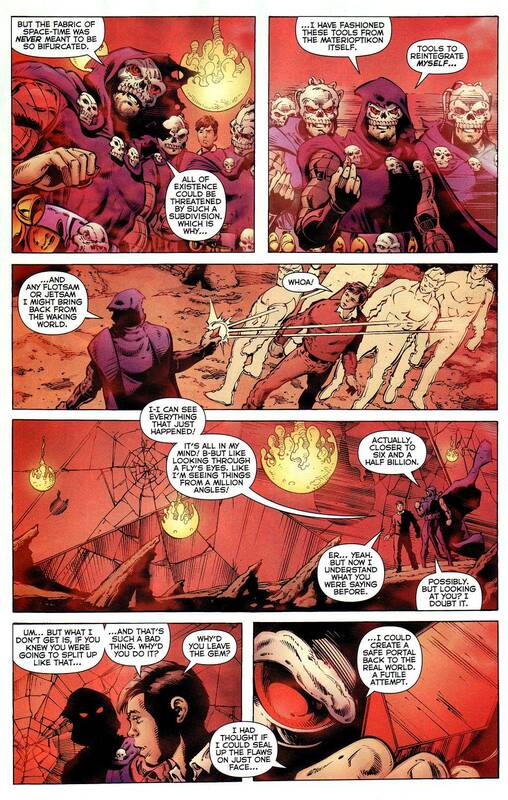 In that same scan above, Destiny references the 6 billion facets, these are references to the 6 billion universes that were mentioned in the story arc, these 6 billion universes were still there even after the Red King reduced the infinite universes the materioptikon created, to 3 universes, and Destiny was using the materioptikon to remove those 6 billion universes. 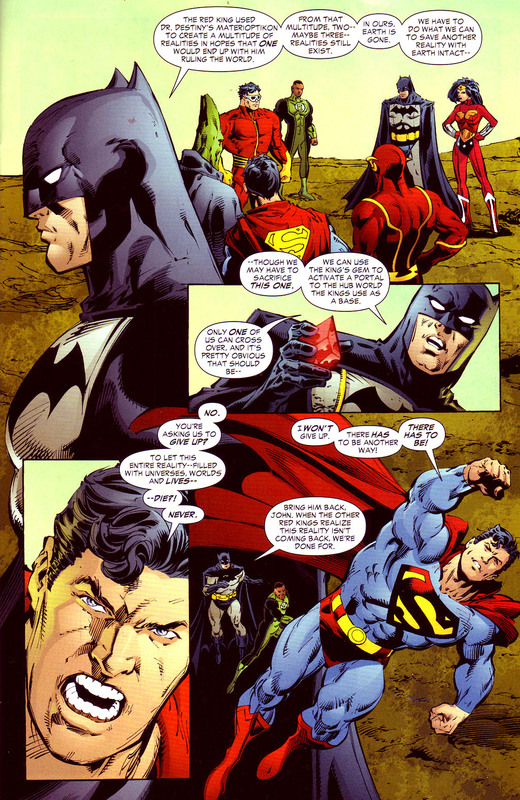 The original DC multiverse started as universe, Destiny telling the story of the DC multivese. I just have one argument. If Lucifer is beyond death how can the Team win? I'm agreeing with you. how can the team kill lucifer if death can't claims him? @spideyjust: His own brother Michael is a feat and we all know Michael would godstomp the team. Micheal's feats aren't necessarily Lucifer's feats.